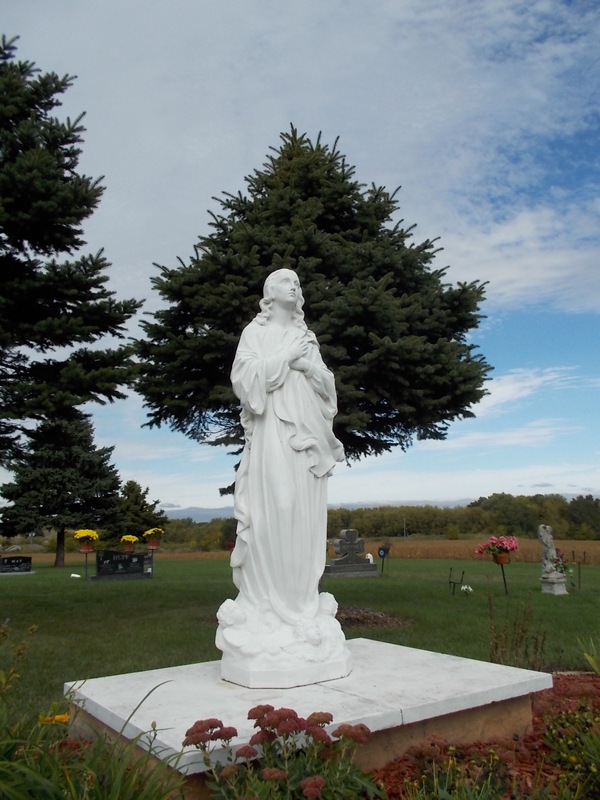 St. Mathias Cemetery, Hampton, Minn. 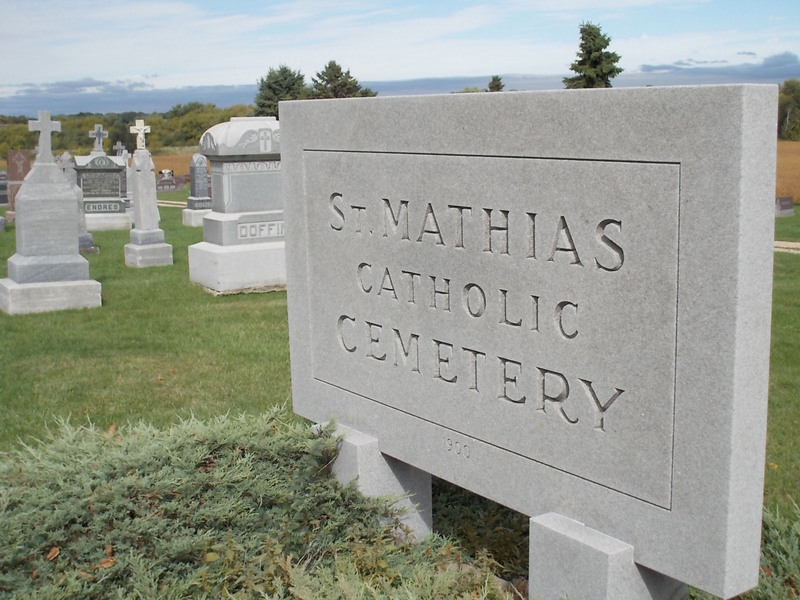 I spoke at the Hastings Pleasant Hill Library today and on my way back home, I took a spontaneous visit to St. Mathias Cemetery in Hampton, Minn. I’d never been through Hampton before; it’s midway between Northfield and Hastings on Dakota County Road 47. What I love about cemeteries are the stories. That’s why I wrote a book about cemetery stories that captivated me. I was at this cemetery 10-15 minutes and identified a half-dozen stories that I would love to know more about. The woman who possibly was a widow for more than 60 years. 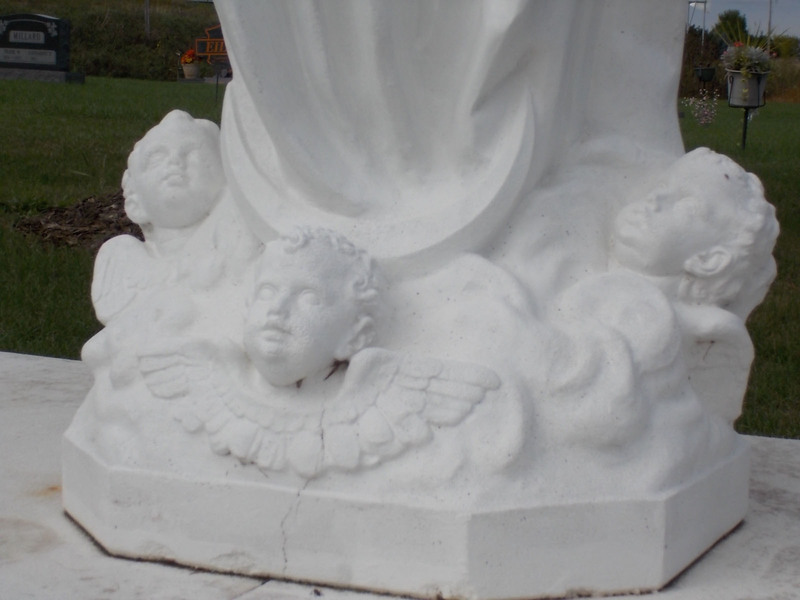 The baby who died just after Christmas. 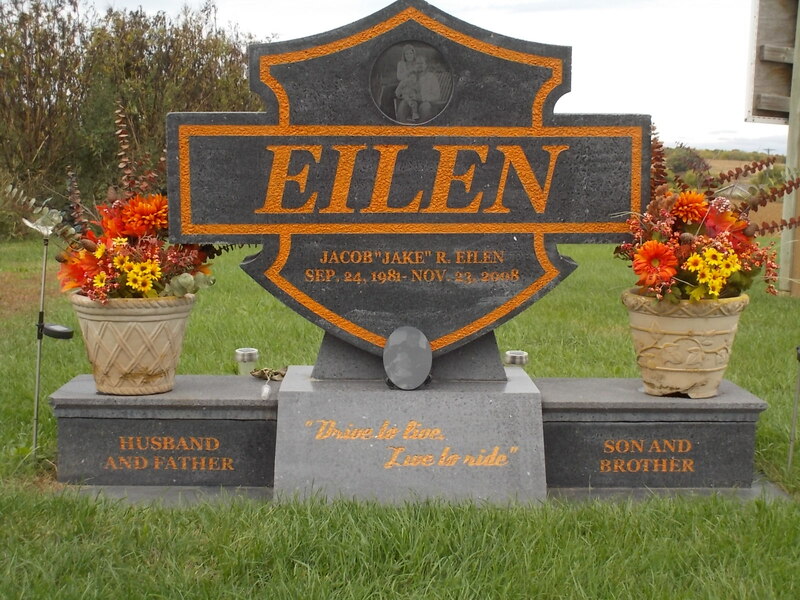 The family who chose a Harley-Davidson emblem for the gravestone. I’m always interested to know the heritage of a town, and a cemetery visit is the best way to do that. Lots of German names in this cemetery. Since they are Catholic, I will presume the town’s initial immigrants were from southern Germany, Austria, or Alsace-Lorraine. 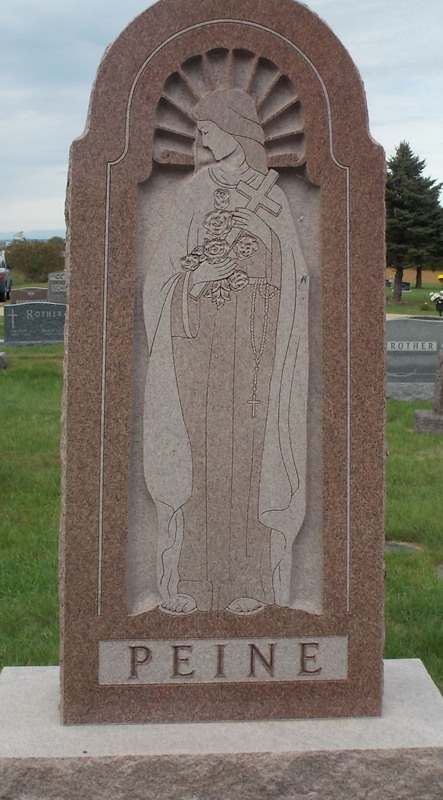 The requisite Catholic cemetery statue. It was a beautiful day for a country drive. The colors are just starting to pop here in southern Minnesota. I came across a number of baby graves. 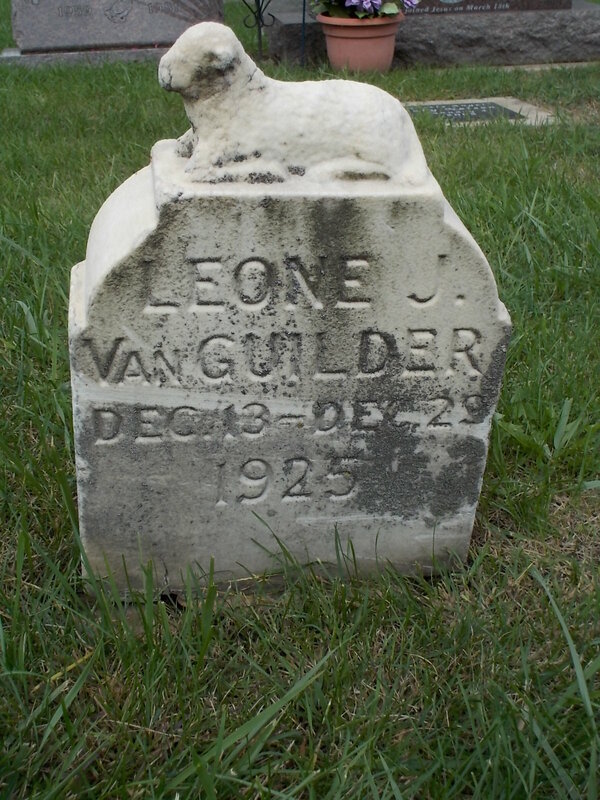 The Christmas of 1925 must have been a sad one for the Van Guilder family. I would love to know if this woman indeed remained a widow for more than 60 years. 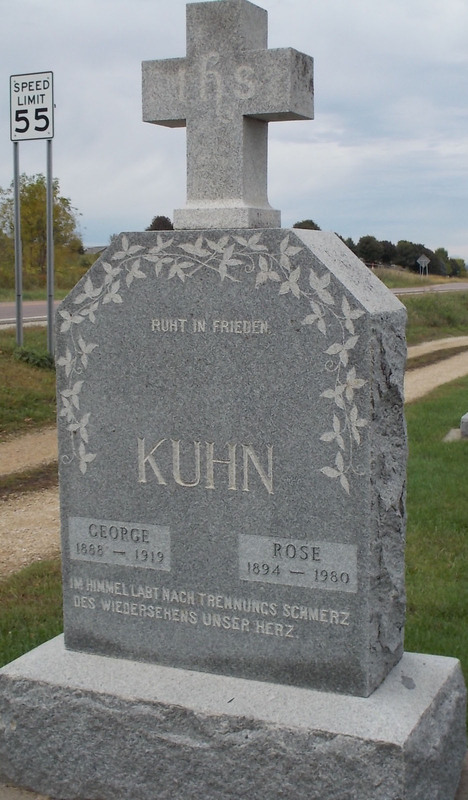 Her husband died in 1919, and she died in 1980. That would be pretty incredible. 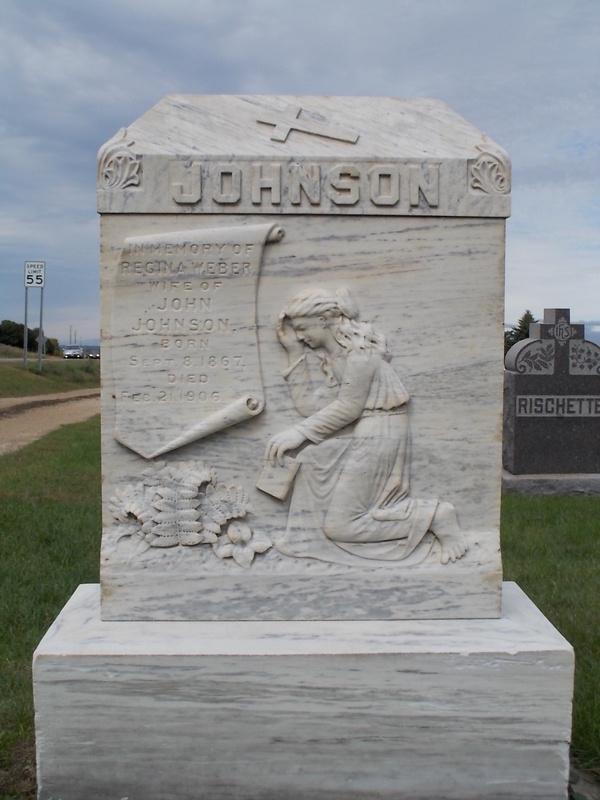 I normally am drawn to the older monuments in a cemetery and rarely visit the “newer” sections. But on my way back to my car, I saw this one straight ahead. After I really looked at it, I realized it was a Harley-Davidson emblem. This is one of the most unique recent monuments that I’ve seen. Very cool! Did you notice the guy with the Harley Davidson emblem was only 27 when he died? So sad. Yes, I wondered what happened. The entire monument was very personal. 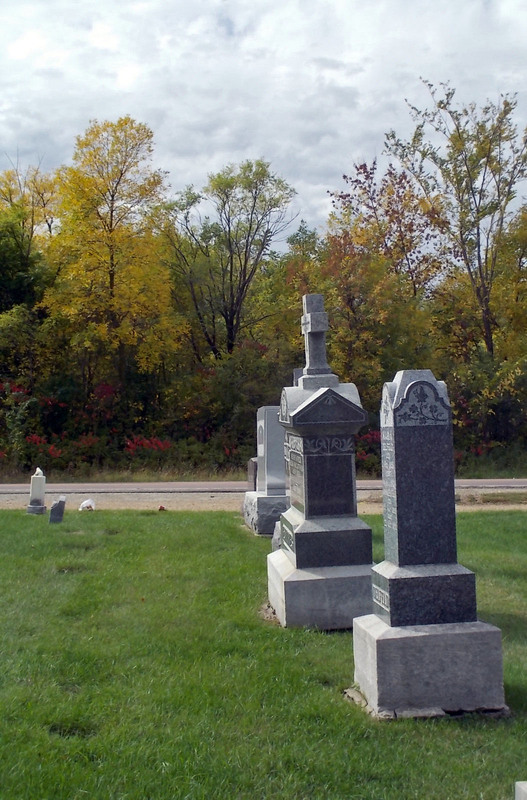 “Older” — has a different connotation out here in the east, where some cemeteries are 400 years old. Now I know why I’m attracted to a certain monument on the east bay (in Rhode Island)… and why I’ve been thinking I need to get there to take pictures. I’ll send the photos as soon as I get back out there to take them. You’ll love them. That’s why I loved visiting Mt. Auburn–the “old” graves truly were old! Here you rarely find anyone buried earlier than the 1860s. Please send pictures when you have them! I will post them here if you don’t mind.